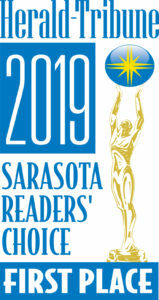 Sarasota's Premier Award winning Pool Service, We are fully licensed pool contractors specializing in the latest technology and always arrive as our name says "On Time". Our work ensures your pool remains hygienic, sanitized, and crystal clear. On-Time Pool Service Video Library. Please see below for simple videos created for you covering various prominent topics. 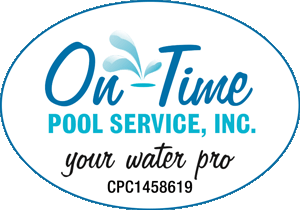 Eamples of what you can expect from your “On Time Pool Service” appointment and “How to pick the correct pool service for you”. Pool water evaporation is a natural process. The amount of evaporation in an outdoor pool or spa is based on the weather. During the dry weather normally experienced in the Florida Fall & Winter, your pool or hot tub may lose about a quarter-inch of water each day. This is a simple step by step tutorial on how to Set / Reset your pool timer. This is a common question especially after a power outage. Variable speed pumps are the greatest advancement in the pool industry. They can save you over a dollar a day in electricity and run super quietly. Here is why and how…. Whenever you buy a home you have it inspected prior to purchase. When the home has a pool you should have it individually inspected as well. Here’s how we do it…. When a pool has sat so long that it starts to resemble a pond, a DCR is required. 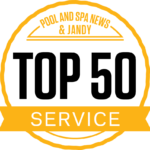 We completely drain all the water, clean the pool surface with acid and/or power washing and refill it with fresh water. The results can be dramatic…. We are here to serve On Time, Every Time!